The music video was shot by FreeCityTV.com in Grand Bahama and features model, Drew Palacious. Aside from her songwriting ability which she began to develop from age 9, along with her talent of violin and piano playing, her performances are known as unforgettable ones not to miss. In addition to that, the young talent has also designed clothing since 16 years old and she can be seen in many of her designs while performing on stage. In February 2004 Alexis got a call from a manager of a new radio station asking her if she would be interested in working as a on-air radio talent, which was a brand new task for her but she was completely up for the new challenge. She started as a full time personality on air six days a week. 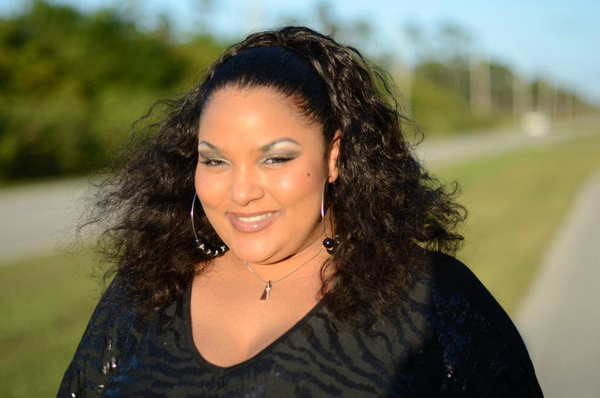 Since then, Alexis has become a household name for Bahamians. Her last hit “Gangsta Luv” featuring PURE GOLD ENTERTAINMENT’S front man Goldenchild, and produced by STP’s Qilla Fang was one of Alexis’ biggest hits to date catching the ears and hearts of many Bahamians who anxiously await in anticipation for her album release. Now with her latest release "Goodbye", a love song that captures the highs and lows of being in a relationship that you just can't seem to let go of, she is well on her way to having yet another great hit song! With talent, beauty and drive that stretches farther than the Islands of her great Bahamaland, Alexis shows amazing ingenuity all while having a kind spirit and a loving personality that will definitely help propel her to the top. "Journey", Alexis' debut album will be released in March 2012. 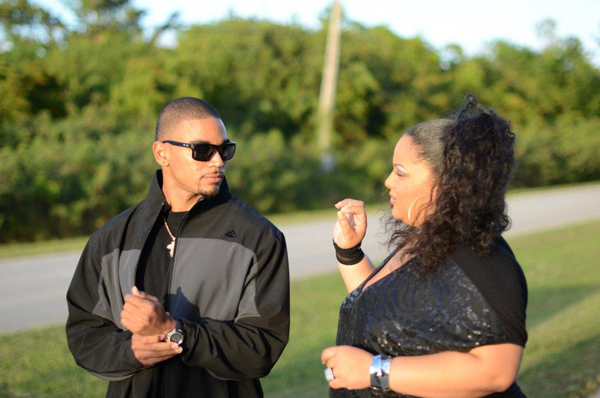 Model, Drew Palacious with vocal artist, Alexis Pelecanos during the video shoot in Grand Bahama in 2011.